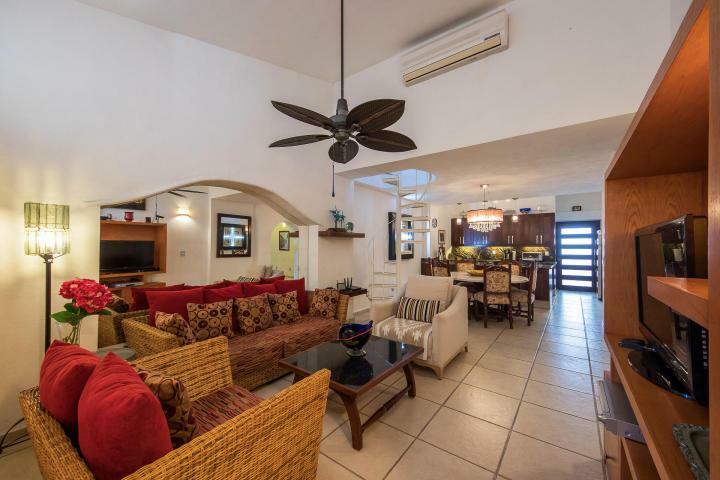 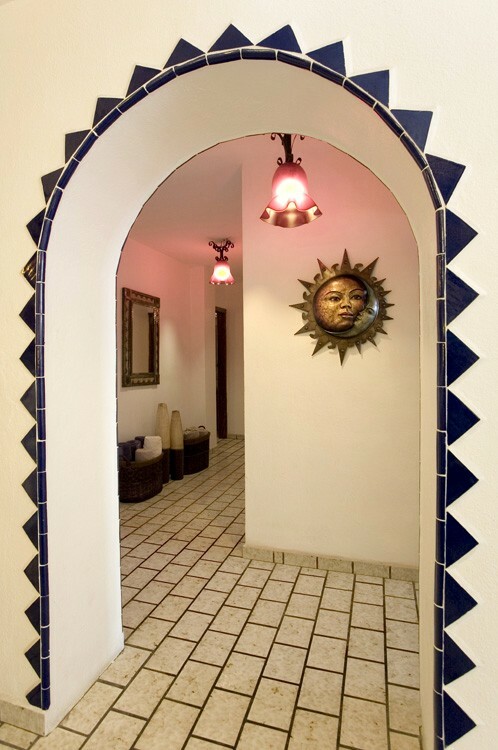 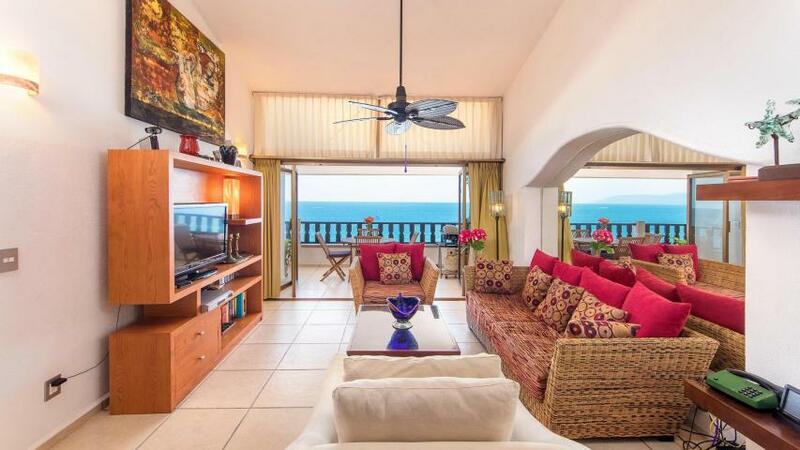 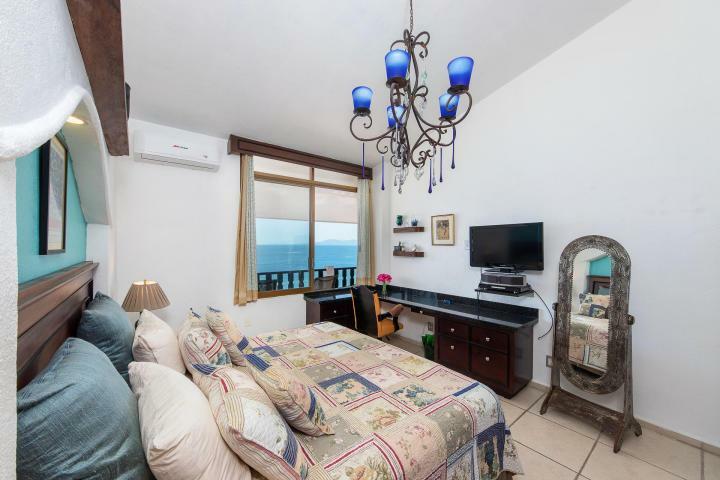 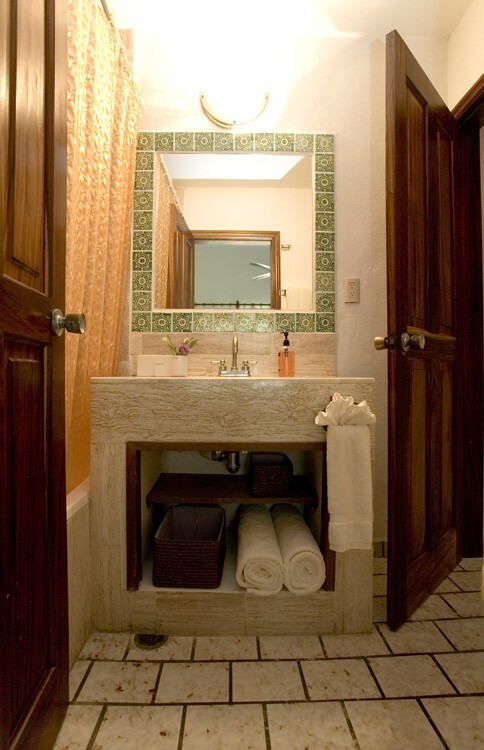 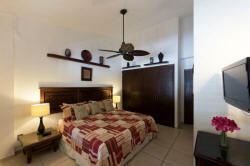 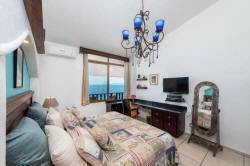 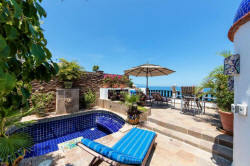 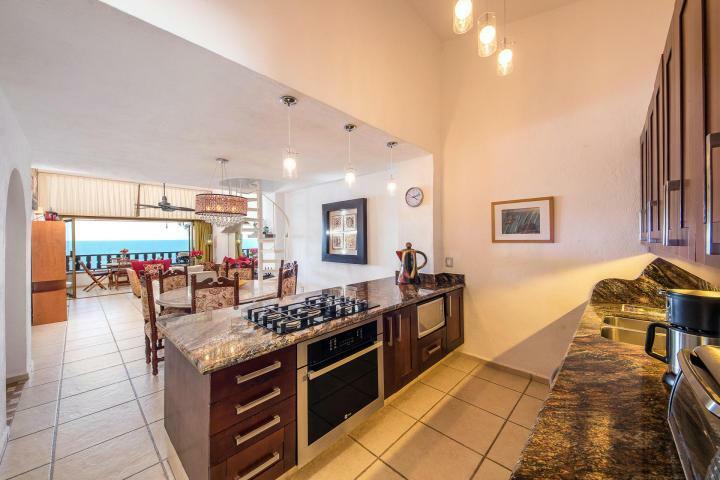 PB-71 Los Muertos beach Condo - Seventh floor penthouse condo recently remodeled located near the south end of Los Muertos beach right behind the gay beach with three bedrooms and two baths. 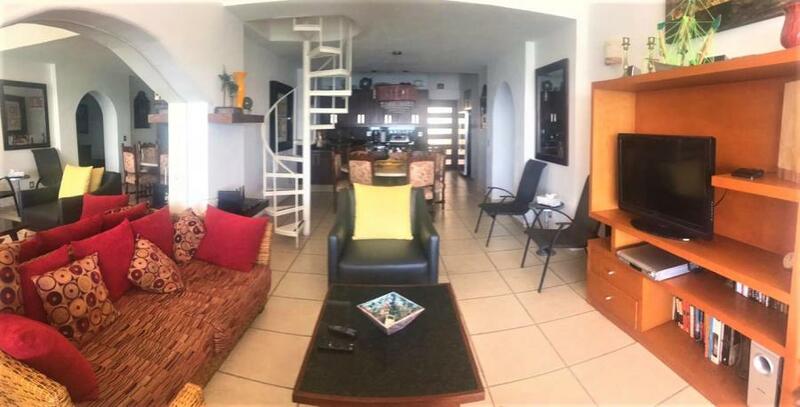 Three air conditioned bedrooms each with king bed, two bathrooms, large closet space, cable television, telephone, fully equipped modern kitchen with refrigerator, cooktop, oven, garbage disposal, microwave, toaster, blender, toaster oven, dishwasher, bottled water and coffee maker. 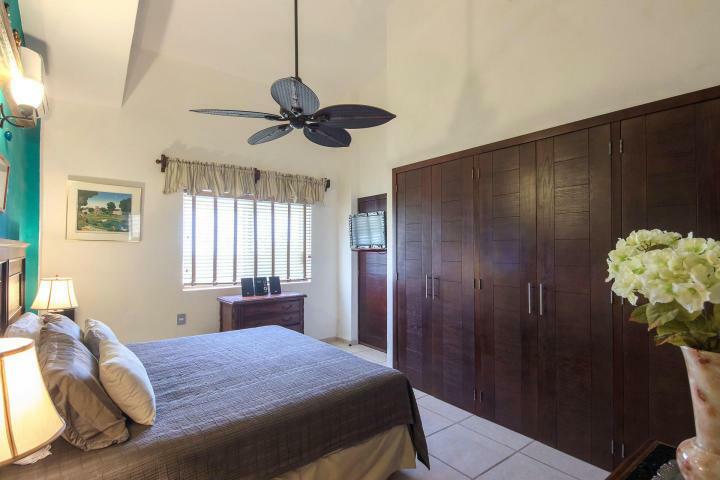 Other amenities include mini-split air conditioning units and ceiling fans throughout, phone for local calls, safe in unit, master bedroom and living room with Smart television, beach towels, iron and ironing board, hair dryer, washer and dryer, linens and towels. 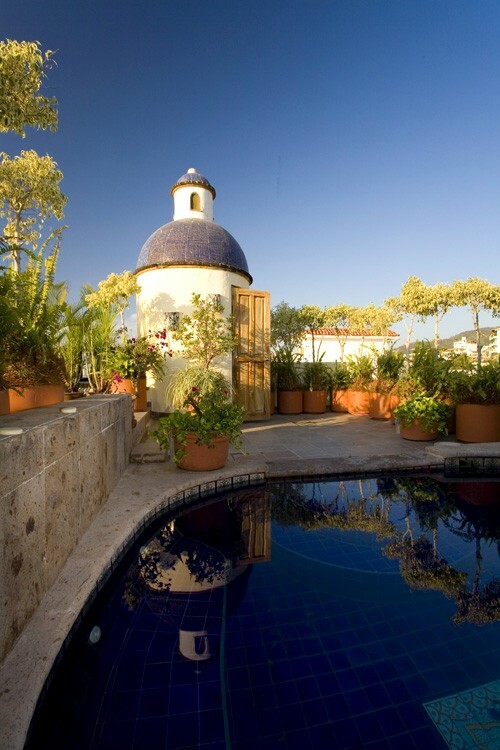 Private rooftop dipping pool. 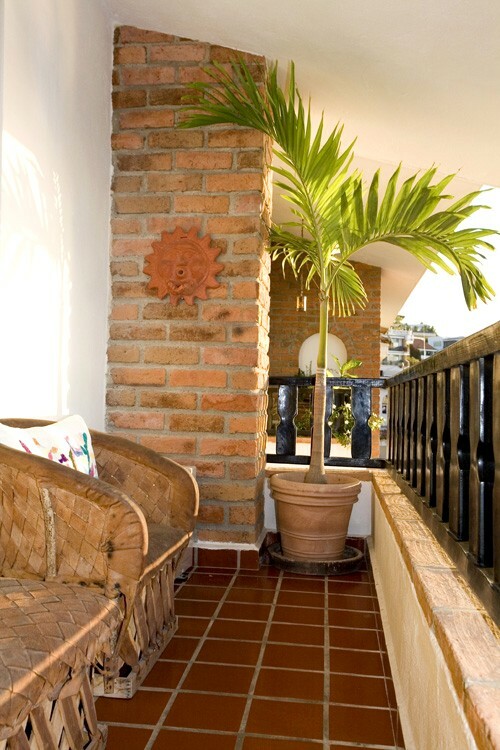 Please no smoking inside, smoking only outside. 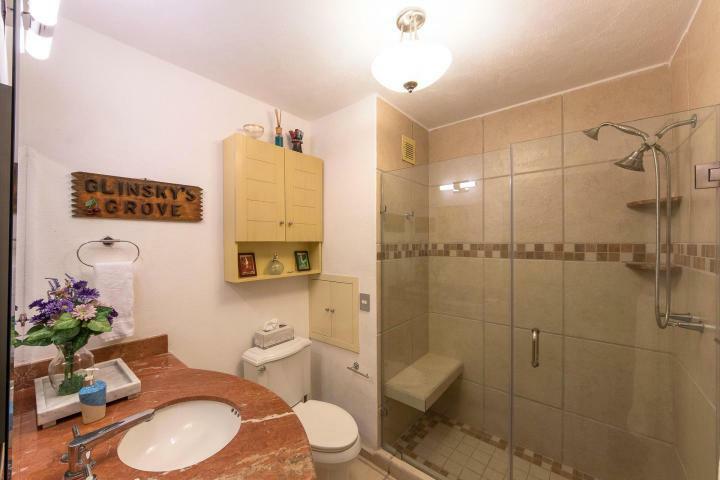 Children are ok; no pets are permitted. Maid service two (2) times per week, Weds and Sat, and extra service may be available for an extra charge. 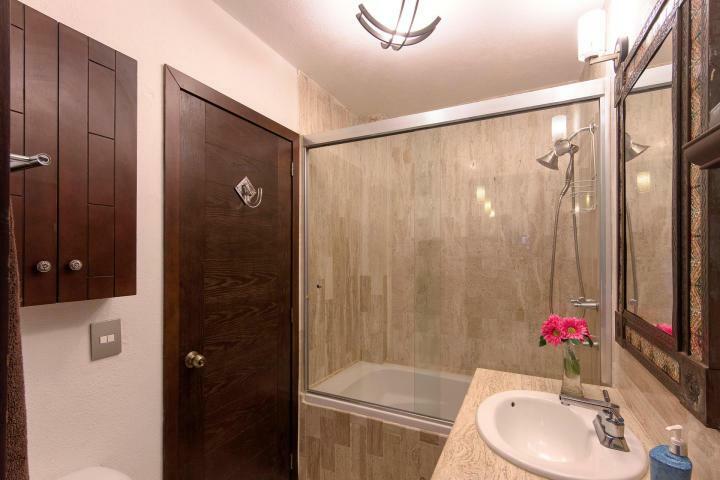 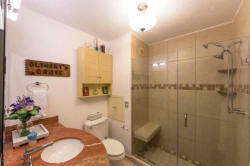 Some 2,000 square feet. 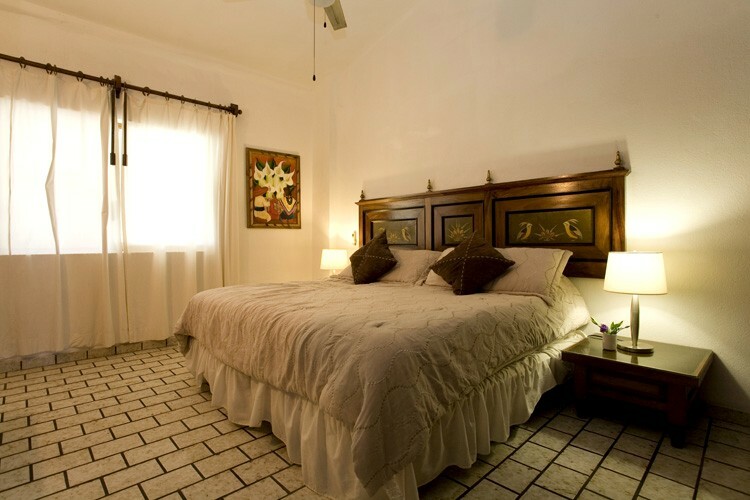 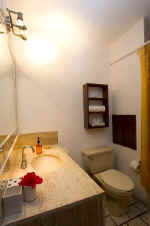 Sleeps up to six (6) guests maximum, including children under 12 and babies. 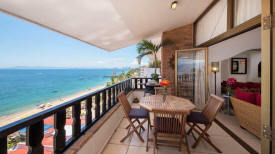 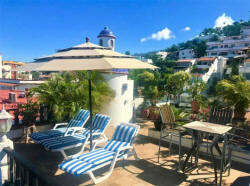 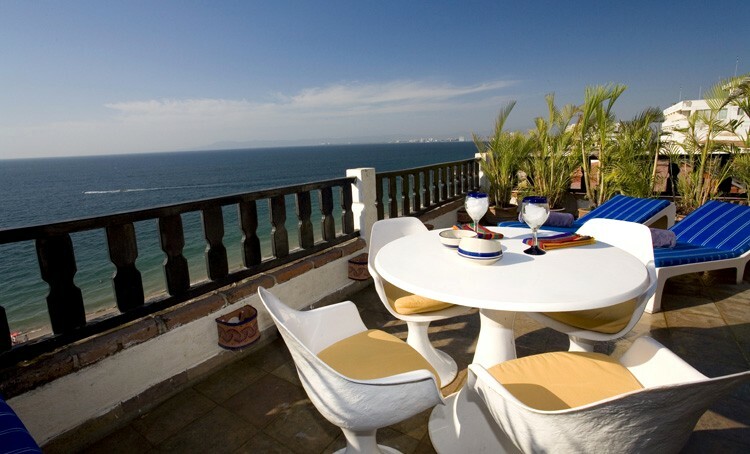 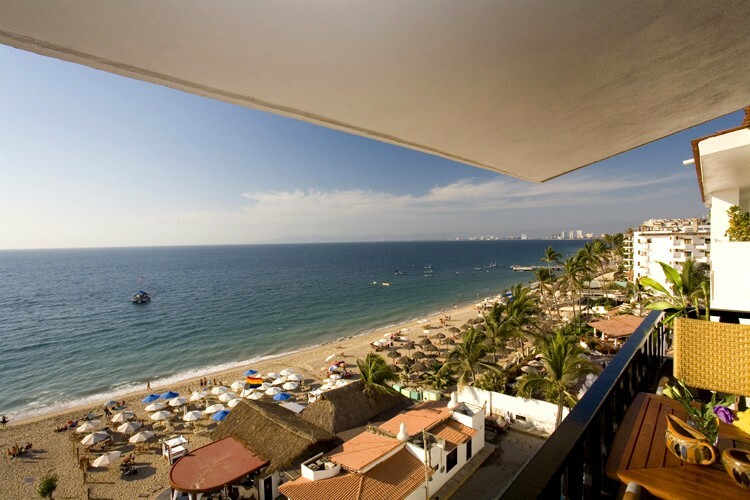 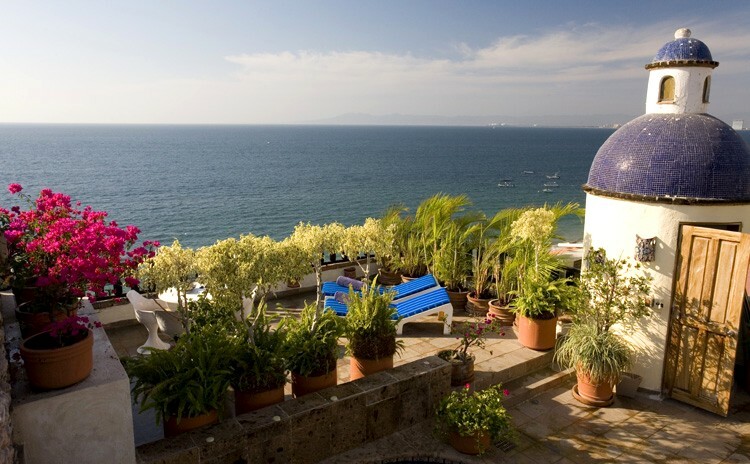 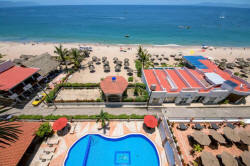 The balcony off the living and dining area gives fantastic views of Puerto Vallarta and Banderas Bay. 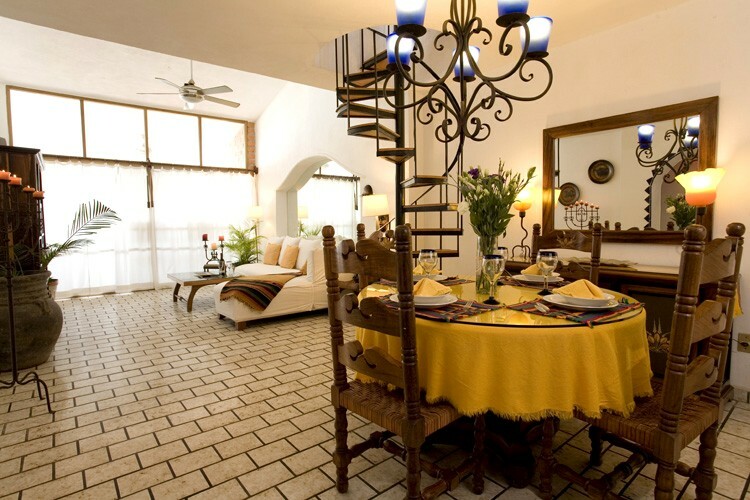 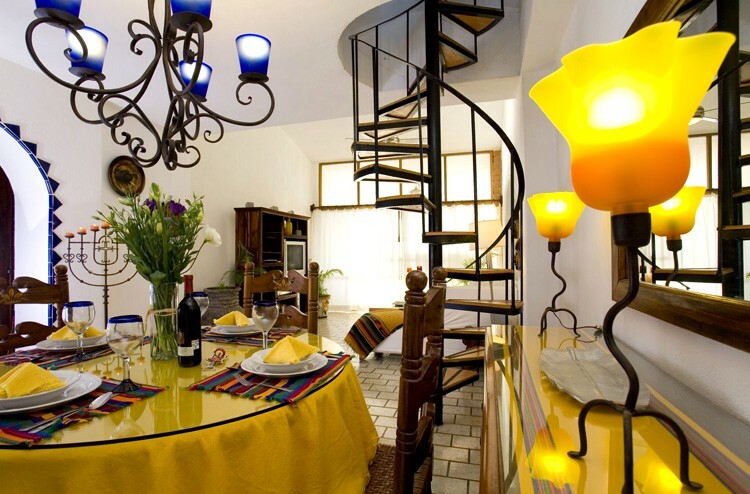 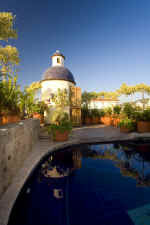 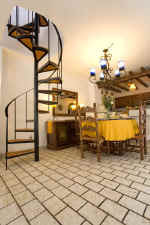 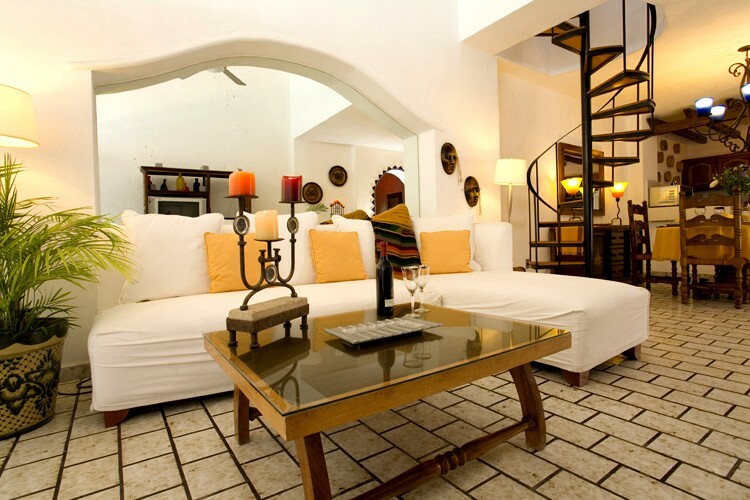 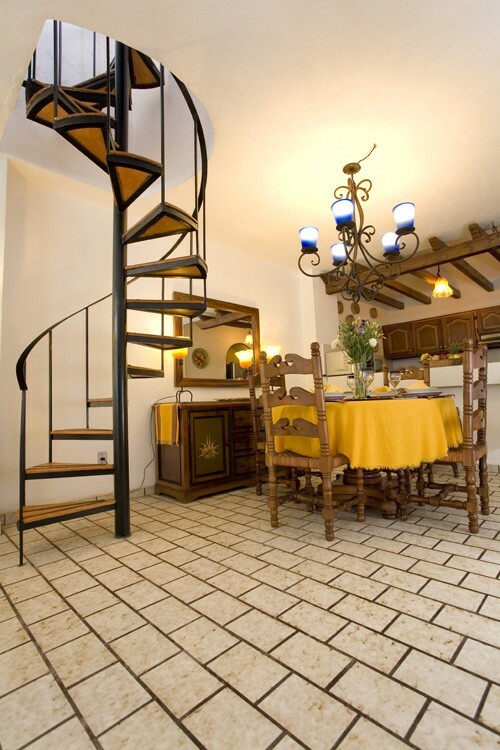 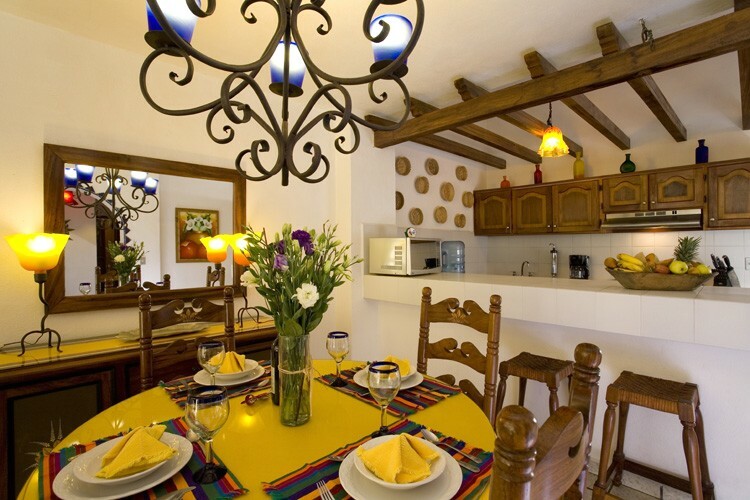 Spiral staircase leads up to a private dipping pool (unheated) and rooftop sun deck terrace just for the use by the clients with even more impressive views of Los Muertos beach and the town. 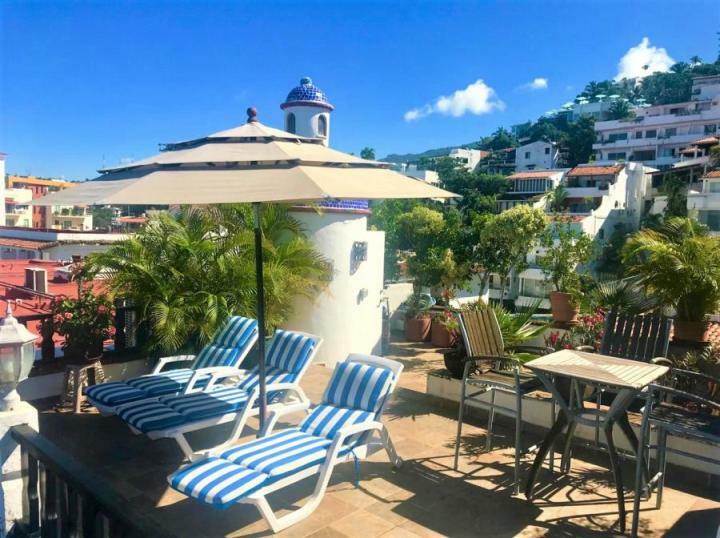 Condo building amenities include elevator, reception desk, 24 hour security, a large common area heated pool and sun deck terrace with views of Los Muertos beach. 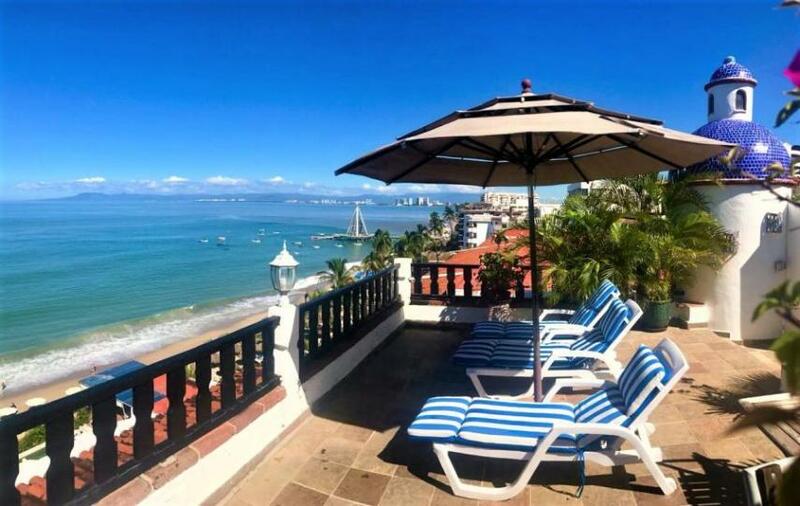 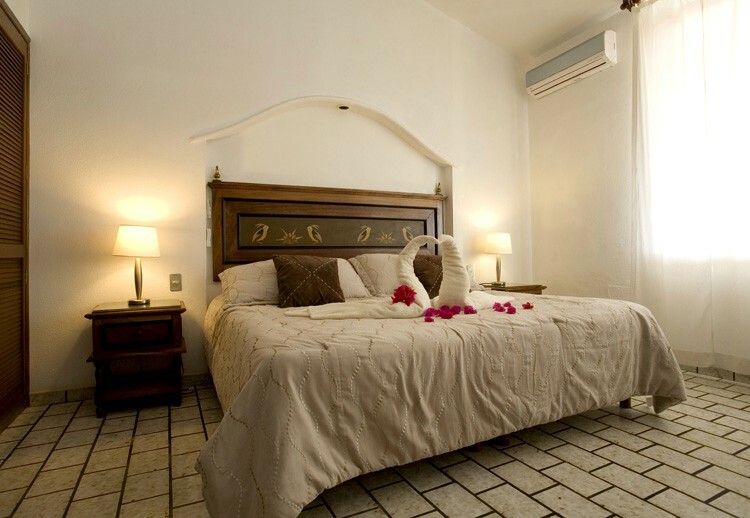 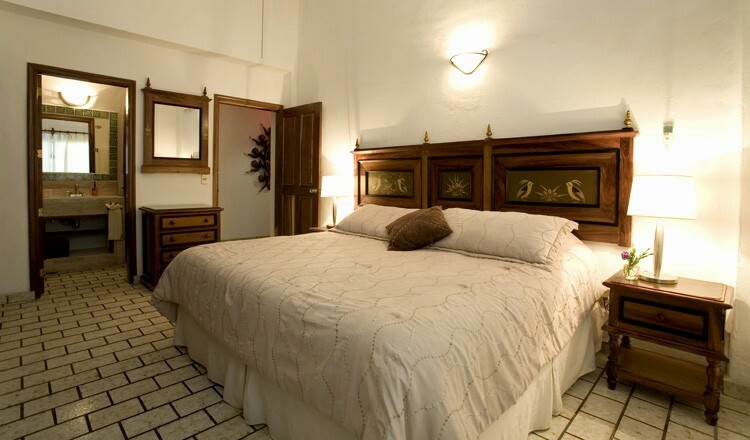 The building is located just a few minutes walk or taxi to the main South Side area and so is close to restaurants, shopping and the lively Vallarta gay nightlife and club scene. The Playa Bonita condominium is located next to a gay hotel which has entertainment at night until no later than 10pm-11pm. Note: There is a $300 USD refundable security deposit required to be sent with the final payment, which I hold for my clients in case of any breakage or damages beyond normal wear and tear, and then send back within 7-10 days of client's departure. 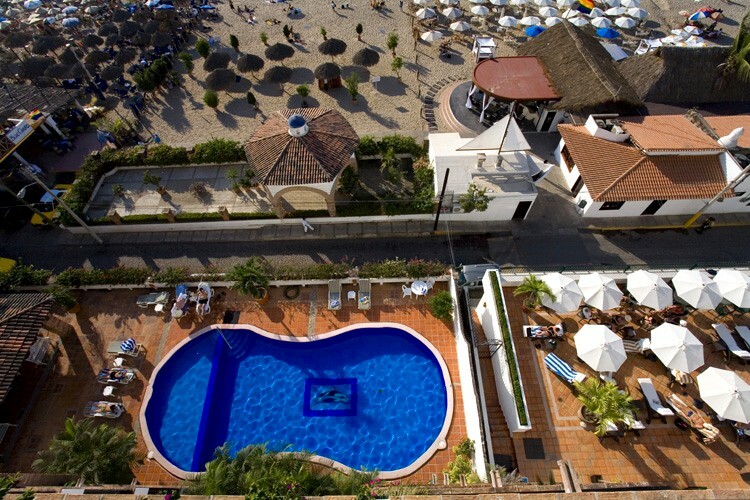 An initial 50% deposit is due within five to six (5-6) days to hold your booking. 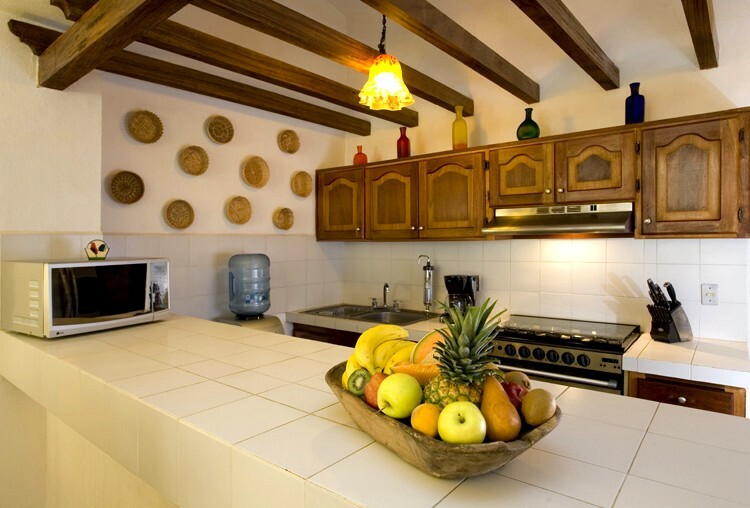 The final payment or balance is due at 35-45 days before arrival, except for holiday rentals which is due at 65-70 days before arrival. 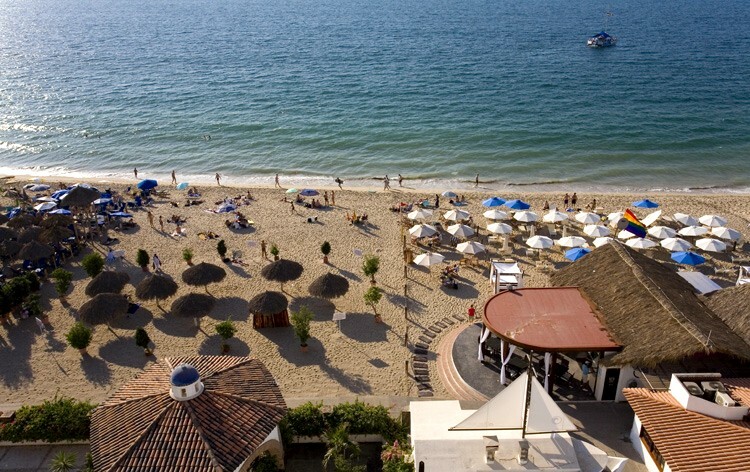 You may wish to consider purchasing travel insurance to protect yourself in the unlikely event of cancellation of your vacation.